Kenneth Irvin Beardsley “Mr. Ken”, age 91, passed away peacefully on November 12, 2018. Born January 16, 1927 in Wheaton, Illinois, Ken spent his early years in Winfield, graduating from West Chicago Community High School in 1942, delayed by a year due to his deployment with the Army to the Pacific Theater during World War II. Following the war, Ken returned to Winfield before marrying and settling in West Chicago in 1953. Ken served as a volunteer for the Winfield and West Chicago fire departments. Following his retirement after 35 years as a U.S. Postal Carrier, he was a crossing guard at Turner school for 22 years. 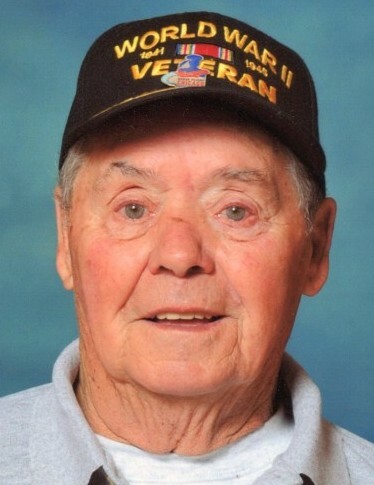 Ken was a life-long member of the West Chicago VFW, and member and past commander of the American Legion Post 300. As an active volunteer in his community, he enjoyed raking leaves for seniors, delivering Meals on Wheels, National Night Out, and neighborhood watch. He was honored as the 2009 West Chicago Railroad Days Parade Grand Marshall. Ken is survived by his wife, of 65 years, Rita (Parks) Beardsley; his 4 children, Karen (Steve) Brenner, LouAnne (Kirby) Ooton, Jeffrey (Rebecca) Beardsley and Jennifer (John) Gill; as well as 13 grandchildren and 8 great-grandchildren. Also survived by his sister, Shirley Beardsley, and brother, G. W. Beardsley.